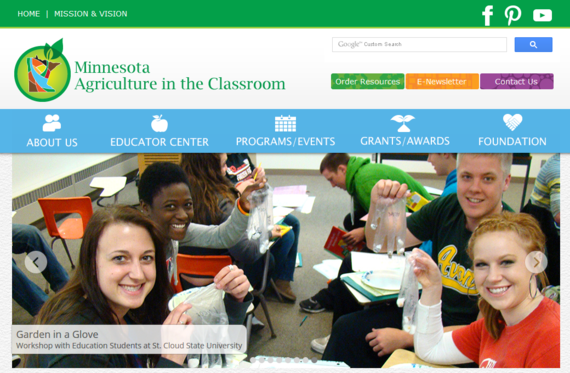 Minnesota Agriculture in the Classroom Launches New Website! Minnesota Agriculture in the Classroom (MAITC) is excited to launch our new-and-improved website! Explore mn.agclassroom.org to find free resources, lessons, and activity ideas in our Educator Center, information on teacher professional development and our summer teacher tours in Programs/Events, details about the MAITC Foundation, and so much more! 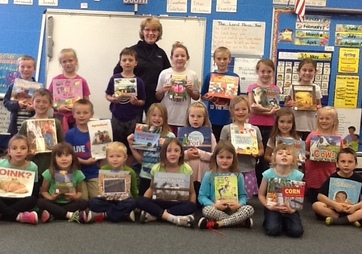 "Teaching Ag in the Classroom is a passion of mine and I tie it into all our curricular areas." Where and what level do you currently teach and why did you choose to become an educator? I teach grades K-2 in a multi-age classroom. I became an educator because of my positive educational experiences growing up. I've been inspired by the great teachers I've had and the colleagues I now work with. Growing up on a diversified farm, I had the opportunity to experience many different aspects of agriculture and I want my students to be well rounded and aware of all the ways agriculture touches their life. What advice do you have for other teachers on integrating agriculture? Look at what you are already teaching. I’ll bet you can easily tie-in agriculture in some way with what you’re doing right now in any curricular area. Don’t be afraid to teach something you know little about because there are people and resources available to help. Summer Teacher Tours Filling-up Fast! 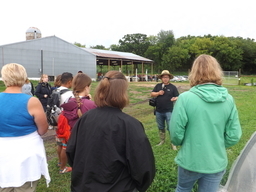 MAITC is excited to offer two unique Summer Teacher Tours that allow educators to see, smell, hear, touch and taste the agriculture, food and natural resources that allow for our survival, while earning CEUs and graduate credits. Tour #2 August 8th-9th Farm to School: From Seed to Plate This tour is full! If you would like to be added to our waiting list contact Al Withers. Oliver Kelley Farm Step onto a 1860's farm that was home to Oliver Kelley, founder of the first national successful farming organization know as the Grange. See the exciting progress that is happening on the new addition to Kelley Farm which includes a new visitor center and visiting animal barn. Gale Woods Farm Visit this working farm for outdoor fun and learning. Explore the wealth of events, camps and additional activities focused on agriculture and food offered at this Three Rivers Park District Site. Children's Museum of Southern Minnesota This new museum offers many fun exhibits and experiences for children of all ages, including their Grow It Gallery and outdoor Farmyard. Congratulations to Tim Larson for being the first person to respond with the correct answer to our April trivia question. Tim knew that the most popular breed of dairy cattle in the U.S. is the Holstein! The other top ten responders were Tiffany Malecha, Julie Kovacik, Lorie Niessen, Gertrude Jensen, Mary Schmidt, Katie Brown, Chrissie TenEyck, McKenzie Gregory and Neil Kruse. 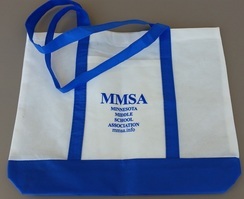 May Trivia - The first person to email the correct answer for the question below will win a reusable bag from the Minnesota Middle School Association. Who is the newly elected 2016-2017 Minnesota FFA Association President?